'Dune Climb' of Sleeping Bear National Lakeshore, Michigan, just off lake Michigan. 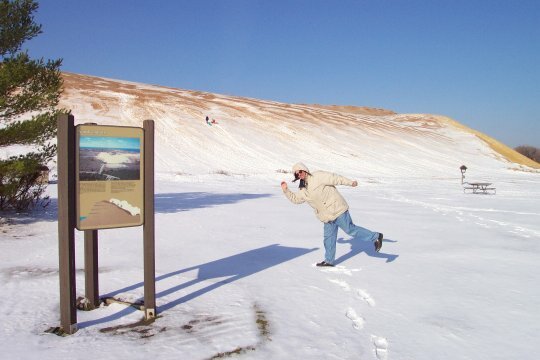 "The Sand and Ice sign describes the formation of the dunes by glaciers and glacial dumps. I didn't realize until after seeing the picture that I got the wrong sign in the picture. Thanks to Jeffrey for phooning (and for the photo idea).